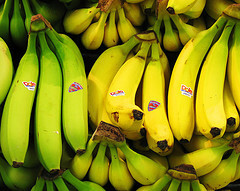 What Makes a Banana Republic? Granted, politics are not my territory — that’s T’s turf — but I wonder: Why would a quasi-upscale clothing retailer choose to named itself after this? This description makes it sound a lot like the J. Peterman Company, which I did not actually realize was a real thing until right this second. So I guess “banana” is supposed to equal “travel and adventure” rather than “political instability.” And, heck, I’ve never really thought about it until now, so I can’t get self-righteous about it. I just think it’s interesting. Hair blowing in the wind. You were enrobed in a long, velvet blazer, walking, walking, seemingly lost, but not afraid. Almost as if you were there for a purpose. And then… on the horizon, your purpose. On a silver steed your Lochinvar coming to rescue you. Turns out you’re beautifully adorned for the Duke of Aston’s holiday party where you’ll dine on venison, plum pudding, mincemeat pie, and fine medieval wine. Embroidered Velvet Blazer (No. 2889) is made from pure cotton velvet. Silver embroidered leafy pattern subtly beckons. Further eye-catchers: peaked lapel, two-button front closure, modified princess seams at front and back. Slightly padded shoulders for shaping. Center back vent. Mid-thigh length. Enough grace to attend any event in any century. Perfect for looking resplendent while walking Arthur, your Scottish Deer Hound. Or wearing it with leggings and just going to party. Imported. Women’s sizes: 2 through 18. Color: Garnet with Silver Embroidery.